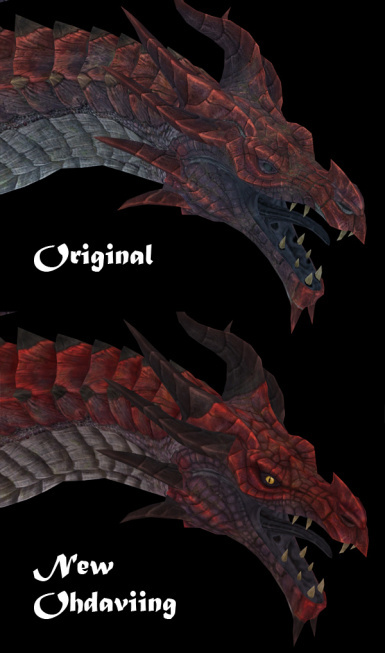 Adds 13 new dragon species. 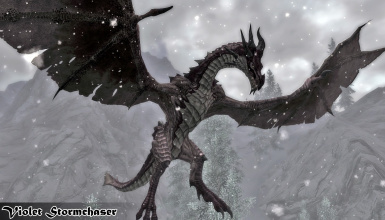 There are around 50 new dragons in the world to encounter. Dragon difficulty is on par with default dragon types. New, hot textures! NMM and Wrye Bash compatible. 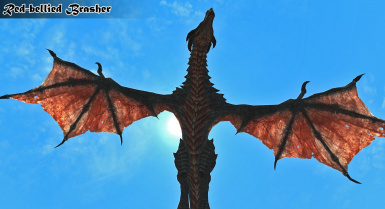 As this mod does not alter leveled lists or random dragon spawns, it's not likely to conflict with other dragon mods. Please credit me if you want to use parts of this mod. -Lower resolution file uploaded (1024x2048) for those that may not be able to run the higher resolution pack. 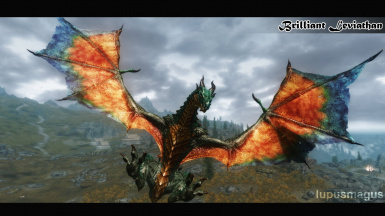 Note: The Ohdaviing texture replacer portion of this mod has been rolled into my new mod, Bellyaches Dragon Texture Replacer, which allows you to choose the textures in this mod for any of the default vanilla dragon types. 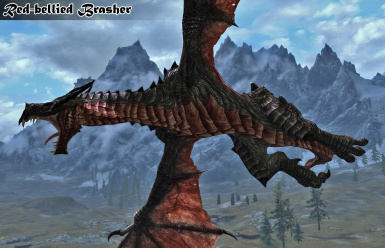 This mod adds thirteen new, non-replacing dragon species into the world. 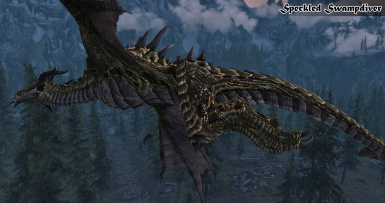 There are around 50 new dragons in the world for you to encounter. 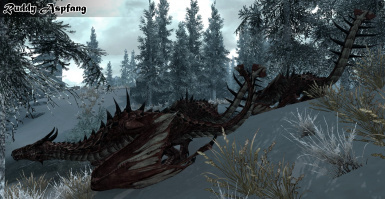 These dragons will respawn after you kill them, but it will take some time. 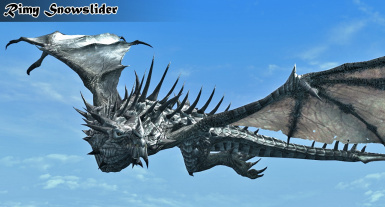 Most of these dragons drop typical dragon loot (scales and bones) as well as souls. 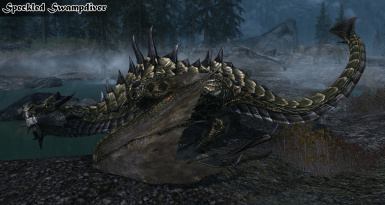 Only the two weakest dragon species do not drop scales, bones, or souls because they are very easy to kill and sometimes appear in packs. 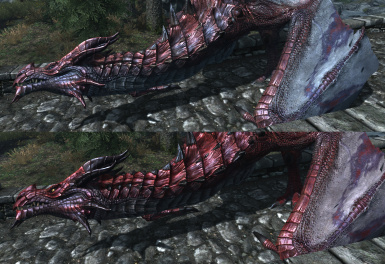 This mod is not a dragon overhaul. 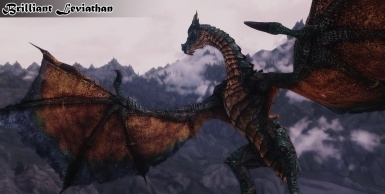 This mod simply adds variation and interest to dragons. Dragon difficulty is on par with default dragon types (read more below). Dragon mods shouldn't conflict. This mod does not alter leveled lists, random dragon spawns, or dragons that are already present in the game. 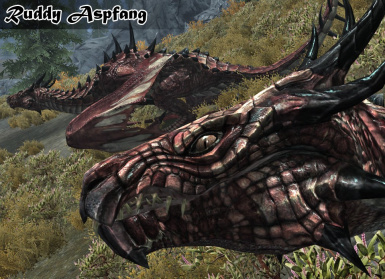 All of the dragons in this mod are hand-placed and each one is its own new type of dragon. 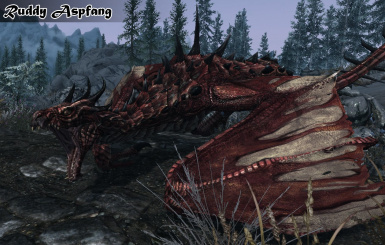 A conflict can occur only if a mod changes the details of "DragonRace," since these dragons are part of the DragonRace. 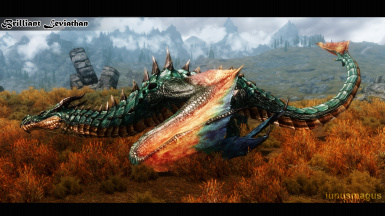 Mods that alter creature behavior - SkyTEST, for example - may conflict. 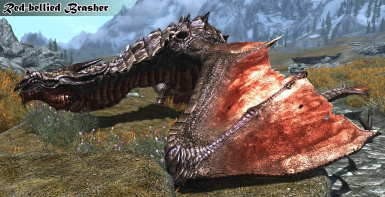 *Deadly Dragons will affect the difficulty of my dragons when my mod is placed above it in the load order. Maybe, but I have tried to minimize that. My dragons are rarely flying when a player encounters them. Flying dragons have a huge aggro radius, so if you have many flying dragons around, you may inadvertently collect them all and be fighting more than one. Most of my dragons are grounded, initially. Grounded dragons have a much smaller aggro radius. In addition, many of the dragon species will warn you when you've gotten too close. If you don't want to take on one of my dragons for any reason (low health from a previous battle, too low level, etc. ), you can simply stay out of its personal space. 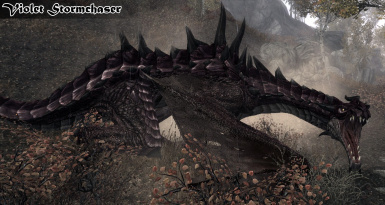 There are also mods which reduce the likelihood of random dragons spawning or eliminate random spawns entirely. These mods can be used in conjunction with this one. You might want to try SKREEE - Less Frequent Dragons or No Random Dragons. Because I do not know the preferences of each player, my dragons are of similar difficulty to the default dragons. 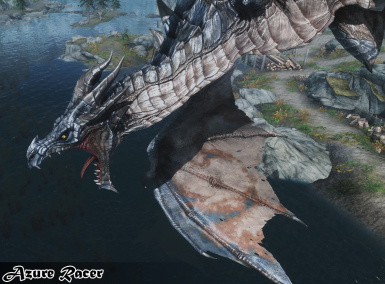 For example, the Azure Racer has stats that are equivalent to a Blood Dragon. 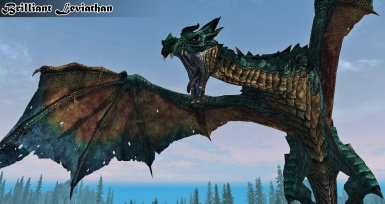 The Brilliant Leviathan is akin to an Ancient Dragon. Only one dragon type, the Nighthawk, is tougher than an Ancient Dragon. It is level 60. Reference the guide, below. 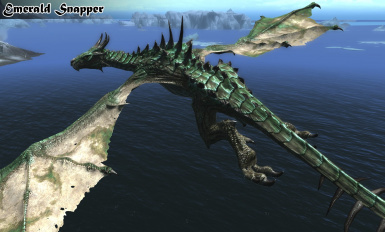 Because my dragons aren't leveled to the player, a level one player could theoretically stumble upon a Brilliant Leviathan which is a level 50 dragon. To solve this issue, I implemented a simple aggro warning for all dragons above Blood Dragon (level 20) difficulty. As long as you are observant and notice the dragon (i.e. you aren't auto-running into it), you can back out before a battle begins. 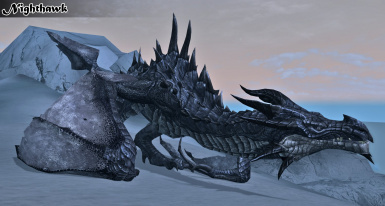 *If you haven't aggro'ed a dragon with aggro warning but are still in close proximity to it, it is still considered non-aggressive so you can wait and fast travel. Beware: a spriggan can charm a high level dragon and ruin your day. Be careful out there! Keep this guide on hand! By hand-placing dragons, there are only so many areas that contain them. These dragons will respawn, but they are not random. 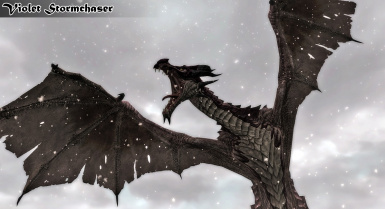 With 50 or so dragons, you'll be kept busy for a while trying to find them all in your travels unless you cheat and look at the spoiler section of the ReadMe for the dragon locations. Unlike bears, dragons do not make any audible noises when they are "aggro warning" you. Instead, they just turn to face you and continue to do so until you get out of their warning range. 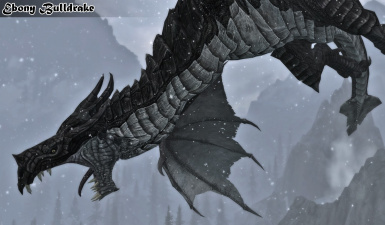 I could not make dragons larger than the default size due to landing animation problems. 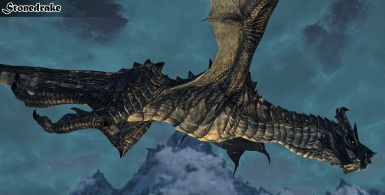 Sometimes, the scaled-down dragons have minor animation issues. The problems are pretty minor. 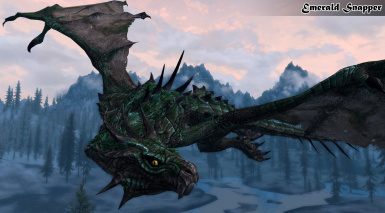 One problem is that these dragons are in your world even if you haven't gotten to that point in the questline where dragons begin to spawn. Sorry. I'm a bad modder. 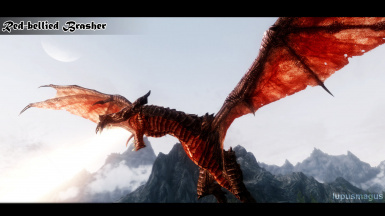 My solution is to install this mod after you get to that point in the questline or assume Alduin was a little busy raising the dead when you weren't looking. 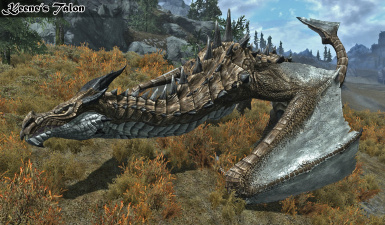 Dragons are part of the PredatorFaction and PreyFaction which prevents them from attacking wolves, bears, foxes, deer, etc. Wolves and bears are set, by default, to "help friends and allies." They will attack you if you aggro a nearby dragon, but other passive animals (like deer and foxes) should not aggro and do not appear on your compass as enemies. 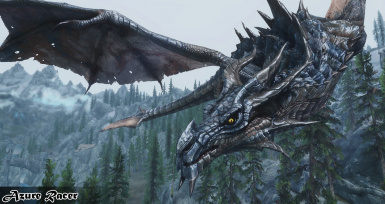 Grounded dragons are set to a single patrol point in the world. Sometimes the dragons get shifted from their spot, but not too often. 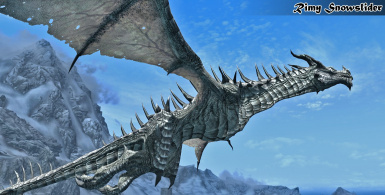 Strangely, even reloading a game will not always put the dragon back in the right spot (it's like the game "remembered" the previous, wrong location of the dragon). The Default version is the way this mod is meant to be played, but there are other versions that may be to your satisfaction. Check out this video that Brodual made that features this mod! Skip to 0:59 for this mod. Also check out this video by insane0hflex. I would never have been able to make this mod (or any of my previous mods) without the help of members from the Nexus community. Exray Catt for being my Nexus buddy (Keene's Talon in his honor). Leviathan1753 for implementing my textures into his Automatic Variants mod (Brilliant Leviathan in his honor). David Brasher for his texturing tutorial that started this modding journey for me (Red-bellied Brasher in his honor). Mujuro for telling me how to prevent dragon spawning before the main quest. I thank him even though I haven't had the opportunity to fix this issue.